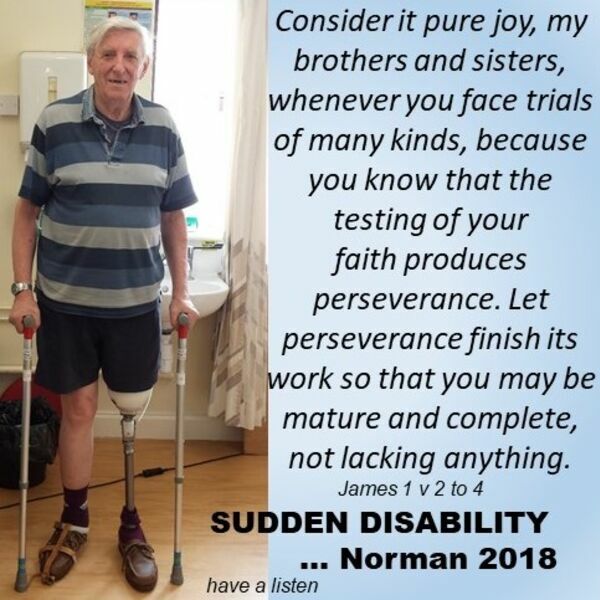 Flame Christian Radio - Norman disability - Testimony (February 2019) plus King & Country "JOY"
Norman disability - Testimony (February 2019) plus King & Country "JOY"
Norman Polden (station manager, Flame CCR) takes the opportunity, one year on, to testify to God's goodness in helping him through sudden traumatic disability. King & Country's music track "JOY" echoes in Norman's mind and in this short audio track as he reflects on James 1 "Consider it pure joy, my brothers and sisters, whenever you face trials of many kinds, because you know that the testing of your faith produces perseverance. Let perseverance finish its work so that you may be mature and complete, not lacking anything".